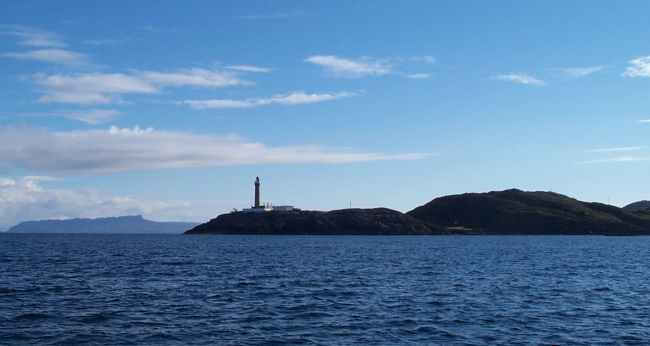 The Ardnamurchan lighthouse sits at the most westerly point of the British mainland, where you can climb to the top of Ardnamurchan lighthouse between April and October, or enjoy the outlook from the viewing platform by the fog horn, which is a well-established whale and dolphin watching area. There is also a coffee shop. 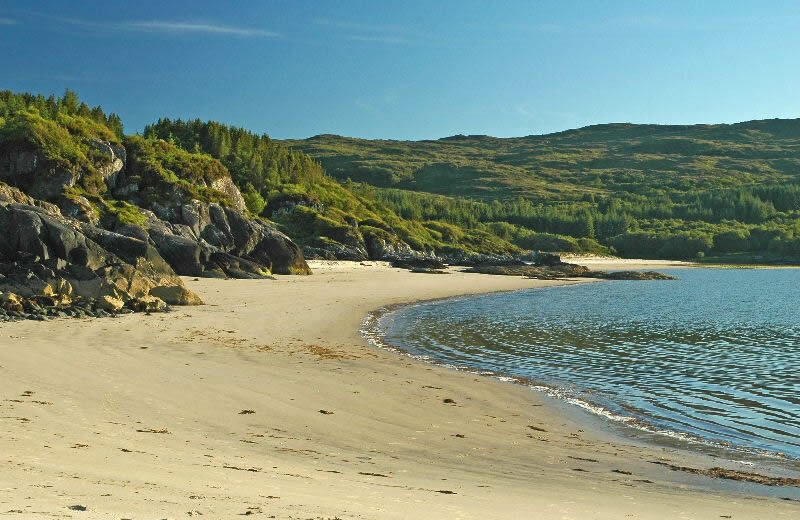 There are beautiful beaches around Ardnamurchan, Sanna Bay with its beautiful white sands being the largest. 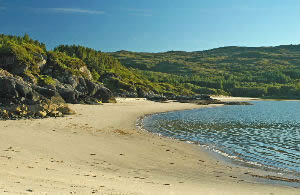 There are also Portuairk, Kilmory and Achateny beaches (the last two being nearest to Air an Oir). Of course there is the small beach in the bay in front of Air an Oir. 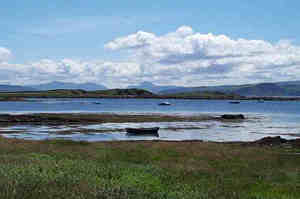 Camas nan Geall also has a beach, however it is more known for the ruined villages at Bourblaige and the Clan Campbell cemetery which has some interesting carved gravestones. There is also a great walk here. Kilchoan the most westerly village in the UK. There is a shop and petrol station. There is also the car/passenger ferry to Tobermory on the Isle of Mull where you can spend a wonderful day out or catch the bus and visit the island of Iona. 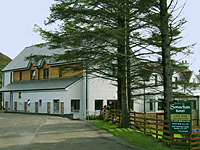 The Kilchoan Community Centre offers a wide range of facilities including fitness suite, sports hall, Internet facilities, tourist information, etc. Boat trips to Tobermory on Isle of Mull, Whale Watching Trips to Isle of Eigg and Wildlife Trips around Loch Sunart on the charter boat Laurenca. 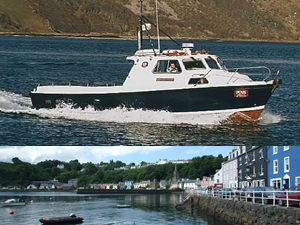 You can also hire small boats for sea fishing, or exploring Loch Sunart. Ardnamurchan Natural History and Visitor Centre providing an introduction to the natural environment of Ardnamurchan, the most westerly part of the British mainland. Also a tearoom and gift/book shop. Great Walk from the house, via Ockle to Gortenfern, Kentra (singing Sands)- 4 Hours return trip. 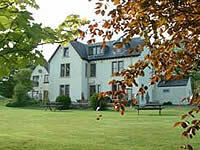 Or carry on to the village of Acharacle and catch the local bus back (check bus times). Starting at the end of the road at Ormsaigbeg, two miles past Kilchoan. Climb the ridge, lookout for the two lochans behind the ridge. Then onto Beinn na Seilg, this peak has the distinction of being the most westerly summit above 1000ft on the British mainland. 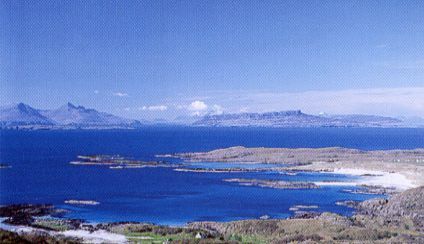 Great views down Sound of Mull and out to Coll & Tiree. 2 hours return. Beinn na Seilg & Ben Hiant walk - route descriptions. 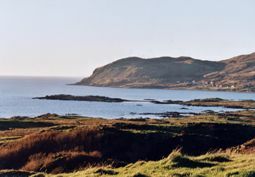 Walk Ben Hiant which rises to a height of 528m (1732 feet) and sits 3 miles east of Kilchoan. Circular Route from Portuairk to Ardnamurchan Point & Lighthouse. 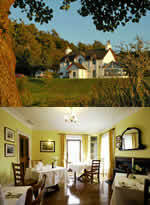 Sonachan Hotel lies midway between Kilchoan village and Ardnamurchan Point. Café bar/bistro is open every day from 11 a.m. to 8 p.m.
Kilchoan House Hotel Bar meals & snacks available at lunchtime or evenings. Advanced booking required for our dining room. The village of Acharacle is served by two hotels, a post office and tearoom, an excellent village store with all provisions, a bakery, fish and chip shop, and an Outdoors shop. Ardshealach Lodge Restaurant is a beautifully appointed old hunting lodge which has been magnificently restored and converted to provide a few letting bedrooms and an excellent dining room serving delicious locally-sourced food. Loch Shiel Cruises - Bird Watching, Wildlife and Historical Cruises on Loch Shiel. Sunart Oakwoods Initiative - Development project which aims to restore and expand the native woodlands of the wider Sunart area. Woodland paths, wildlife hide, great areas for walking and picnics.